A professional photographer sued the gallery that sold his works, and won a damage award for copyright infringement, infringement of moral rights, and punitive damages. In this case (Collett v. Northland Art Company Canada Inc., 2018 FC 269 (CanLII)), Mr. Collett, the photographer, alleged that his former gallery, Northland, infringed his rights after their business relationship broke down. We don’t see many “moral rights” infringement cases in Canada, so this case is of interest for artists and other copyright holders for this reason alone. What are “moral rights”? In Canada the Copyright Act tells us that the author of a work has certain rights to the integrity of the work, the right to be associated with the work as its author by name or under a pseudonym and the right to remain anonymous. These so-called moral rights of the author to the integrity of a work can be infringed where the work is “distorted, mutilated or otherwise modified” ina way that compromises or prejudices the author’s honour or reputation, or where the work is used in association with a product, service, cause or institution that harms the authors reputation. Determining infringement has a highly subjective aspect, which must be established by the author. But this type of claim also has an objective element requiring a court to evaluate the prejudice or harm to the author’s “honour or reputation” which can be supported by public or expert opinion. Here, the court found that the gallery had infringed Mr. Collett’s moral rights when the gallery intentionally reproduced one print entitled “Spirit of Our Land” and attributed the work to another artist. By reproducing “Spirit of Our Land” without Mr. Collett’s permission, the gallery infringed the artist’s copyright in the work. By attributing the reproductions to another artist, the gallery infringed the artist’s moral right “to be associated with the work as its author”. This is actually a useful illustration of the difference between these different types of artist’s rights. 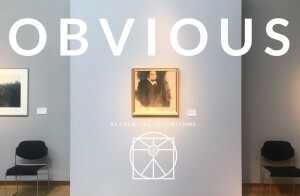 The unauthorized reproductions sold by the gallery were apparently taken from a copy resulting in images of lower resolution and therefore inferior quality, compared to authorized prints; unfortunately, we don’t have any insight into whether inferior quality would also infringed the artist’s moral right to the integrity of the work. The court declined to comment on this aspect since it had already concluded that moral rights were infringed when the prints were sold under the name of another artist. Lastly, and interestingly, the court found that a link from the gallery’s site to the artist’s website constituted an infringement of copyright. It’s difficult to see how a link, without more, could constitute a reproduction of a work, unless the linked site was somehow framed or otherwise replicated within the gallery’s site. The evidence is not clear from reading the decision but the artist’s allegation was that the gallery “reproduced the entirety” of certain pages from the artist’s site, which created the false impression that the gallery still represented the artist. The court noted that the gallery continued to maintain a link to Mr. Collett’s website “knowing it was not authorized to do so.” By doing so, the gallery infringed the artist’s copyright in his site, including a reproduction of certain prints. Maintaining such a link was not found to constitute a breach of the artist’s moral rights. In the end, statutory damages of $45,000 were awarded for breach of copyright, $10,000 for infringement of moral rights, and $25,000 for punitive damages to punish the gallery for its planned, deliberate and ongoing acts of infringement. Since the Copyright Act provides for an award of both damages and profits from the sale of infringing goods, or statutory damages between $500 to $20,000 per infringed work, the copyright owner had a range of options available to enforce its IP rights. 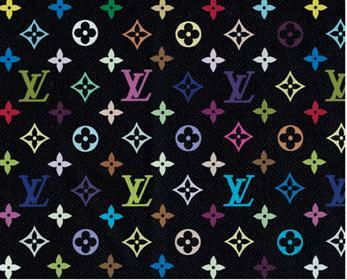 In this case, the Federal Court awarded Louis Vuitton and Burberry a total of over $2.4 million in damages against the defendants, catching both the corporate and personal defendants in the award. The exploitation of personality is for a commercial purpose. The use of personality suggests some endorsement or approval by the person in question. Just ask William Shatner who objected on Twitter when his name and caricature were used to promote a condo development in Ontario, in a way that suggested that he endorsed the project. Canadian personality rights benefit from some protection at the federal level through the Trademarks Act and the Competition Act, and are protected in some provinces. B.C., Saskatchewan, Manitoba and Quebec have privacy statutes that restrict the unauthorized commercial use of personality, although the various provincial statutes approach the issue slightly differently. Specific advice is required in different jurisdictions, depending on the circumstances. Who owns the copyright in a building? A few years ago, we looked at the issue of Copyright in House Plans, but let’s look at something bigger. Much bigger. In Lainco inc. c. Commission scolaire des Bois-Francs, 2017 CF 825, the federal court reviewed a claim by an architectural engineering firm over infringement of copyright in the design for an indoor soccer stadium. Lainco, the original engineers, sued a school board, an engineering firm, a general contractor and an architect, claiming that this group copied the unique design of Lainco’s indoor soccer complex. The nearly identical copycat structure built in neighbouring Victoriaville was considered by the court to be an infringement of the original Lainco design even though the copying covered functional elements of the structure. The court decided that such functional structures can be protected as “architectural works” under the Copyright Act, provided they comprise original expression, based on the talent and judgment of the author, and incorporate an architectural or aesthetic element. The group of defendants were jointly and severally liable for the infringement damage award, which was assessed at over $700,000. Make sure you clarify ownership of copyright in architectural designs with counsel to avoid these pitfalls. If you’ve ever taken piano lessons then titles like “Bozo’s Flippity-Flop”, “Shooting Stars” and “Little Elves and Pixies” may be familiar. These are among the titles that were drawn into a recent copyright infringement lawsuit brought by the Royal Conservatory against a rival music publisher for publication of a series of musical works. In Royal Conservatory of Music v. Macintosh (Novus Via Music Group Inc.) 2016 FC 929, the Royal Conservatory and its publishing arm Frederick Harris Music sought damages for publication of these works by Conservatory Canada and its music publisher Novus Via Music. The case serves as a cautionary tale about records and rights management, since much of the confusion between the parties, and indeed within the case itself, could be blamed on missing or incomplete records about who ultimately had the rights to the musical works at issue. In particular, a 1999 agreement which would have clarified the scope of rights, was completely missing. The court ultimately determined that there was no evidence that the defendants Conservatory Canada and its music publisher Novus Via Music could benefit from any rights to publish these songs; the missing 1999 agreement was never assigned or extended to the defendants. in the case of infringements for non-commercial purposes, the need for an award to be proportionate to the infringements, in consideration of the hardship the award may cause to the defendant, whether the infringement was for private purposes or not, and the impact of the infringements on the plaintiff. For these reasons, the court set per work damages at the lowest end of the commercial range ($500 per work), for a total award of $10,500 in damages. New York artist Maya Hayuk was approached by an advertising agency working for Starbucks, to see if she would assist them with a proposed advertising campaign. Ms. Hayuk is known internationally for her paintings using bold colors, and vibrant geometric shapes – rays, lines, stripes and circles. She declined the offer to work with Starbucks (too busy) and was surprised when she saw the final marketing campaign for the Starbucks Frappuccino product. The marketing materials, including artwork on Frappuccino cups, websites, and on signage at Starbucks’ retail locations and promotional videos, were strikingly similar to Hayuk’s artworks. The artist promptly launched a copyright infringement lawsuit against both Starbucks and its advertising agency, claiming that Starbucks created artwork that was substantially similar to her paintings and further, the Starbucks material appropriated the “total concept and feel” of her paintings, even though there was no “carbon copy” of any particular painting. Last week, A US District Court handed down its decision in Hayuk v. Starbucks Corp and 71andSunny Partners LLC (PDF) (Case No. 15cv4887-LTS SDNY). It is well settled that copyright does not protect an artist’s style or elements of her ideas. The court denied the claim that any copyright infringement occurred. In analyzing the two images, the court notes that the proper analysis is not to dissect, crop or rotate particular elements or pieces of the two works and lay the isolated parts side-by-side, but rather to look at substantial similarity of the works as a whole. The court concluded that “Although the two sets of works can be said to share the use of overlapping colored rays in a general sense, such elements fall into the unprotectible category of ‘raw materials’ or ideas in the public domain.” [Emphasis added] Thus, there could be no finding of substantial similarity and the claims were dismissed. Yes, you heard that right, the crested macaque is the plaintiff in a copyright infringement lawsuit. April 1st is still 5 months away, but with luck the federal court will have ruled on some preliminary motions by then. As we noted in our earlier post (See: this link) the bill known as Economic Action Plan 2015 Act, No. 1 was tabled in the House of Commons on May 7, 2015. It passed Second Reading in the House of Commons on May 25th and is now with the House of Commons Standing Committee on Finance. The bill proposes to amend the Copyright Act to extend the term of copyright protection for sound recordings and performances fixed in sound recordings. Copyright in a sound recording currently subsists until the end of 50 years after the end of the calendar year in which the first fixation of the sound recording occurs. However, if the sound recording is published before the copyright expires, then copyright protection would be extended to the earlier of the end of 70 years after the end of the calendar year in which the first publication of the sound recording occurs and the end of 100 years after the end of the calendar year in which that first fixation occurs. The bill is expected to pass. Stay tuned. Copyright Implications of a “Right to be Forgotten”? Or How to Take-Down the Internet Archive. They say the internet never forgets. From time to time, someone wants to challenge that dictum. In our earlier posts, we discussed the so-called “right to be forgotten” in connection with a Canadian trade-secret misappropriation and passing-off case and an EU privacy case. In a brief ruling in October, the Federal Court reviewed a copyright claim that fits into this same category. In Davydiuk v. Internet Archive Canada, 2014 FC 944 (CanLII), the plaintiff sought to remove certain pornographic films that were filmed and posted online years earlier. By 2009, the plaintiff had successfully pulled down the content from the original sites on which the content had been hosted. However, the plaintiff discovered that the Internet Archive’s “Wayback Machine” had crawled and retained copies of the content as part of its archive. The plaintiff used copyright claims to seek the removal of this content from the Internet Archive servers, and these efforts included DMCA notices in the US. Ultimately unsatisfied with the results, the plaintiff commenced an action in Federal Court in Canada based on copyrights. The Internet Archive disputed that Canada was the proper forum: it argued that California was more appropriate since all of the servers in question were located in the US and Internet Archive was a California entity. This is not a privacy case. It turns upon copyright claims, since the plaintiff in this case had acquired the copyrights to the original content. Nevertheless, the principles in this case (to determine which court is the proper place to hear the case) could be applied to any number of situations, including privacy, copyright or personality rights. Interestingly, the fact that the plaintiff had used American DMCA notices did not, by itself, convince the court that the US was the best forum for this case. The court looked to a recent trademark decision (Homeaway.com Inc. v. Hrdlicka) to show that a trademark simply appearing on the computer screen in Canada constituted use and advertising in Canada for trademark law purposes. Here, accessing the content in Canada from servers located in the US constituted access in Canada for copyright purposes. While some factors favoured California, and some favoured Canada, the court concluded that California was not clearly more appropriate. This shows there is a first-mover advantage in commencing the action in the preferred jurisdiction. Get advice on internet copyright claims by contacting our Intellectual Property & Technology Group. While our last post dealt with the creation of photographs and other works of authorship by primates, robots and divine beings, this story is a little more grounded in facts that you might see in the average work day. When an employee takes a photograph, who owns copyright in the image? In Mejia v. LaSalle College International Vancouver Inc., 2014 BCSC 1559, a BC court reviewed this question in the context of an employment-related complaint (there were other issues including wrongful dismissal and defamation which we won’t go into). Here, an instructor at LaSalle College in Vancouver took a photograph, and later alleged that the college infringed his copyright in the picture after he discovered that it was being used on LaSalle’s Facebook page. The main issue was whether the picture was taken in the course of employment. The instructor argued that the photograph was taken during his personal time, on his own camera. He tendered evidence from camera metadata to establish the details of the camera, time and date. He argued that s. 13(3) of the Copyright Act did not apply because he was not employed to take photos. He sought $20,000 in statutory damages. The college argued that the photo was taken of students in the classroom and was within the scope of employment, and copyright would properly belong to the college as the employer, under s. 13(3) of the Act. The court, after reviewing all of this, decided that the instructor was not hired as a photographer. While an instructor could engage in a wide variety of activities during his employment activities, the court decided that “the taking of photographs was not an activity that was generally considered to be within the duties of the plaintiff instructor, and there was no contractual agreement that he do so.” It was, in short, not connected with the instructor’s employment. In the end, the photograph was not made in the course of employment. Therefore, under s. 13(1) of the Copyright Act, the instructor was the first owner of copyright, and the college was found to have infringed copyright by posting it to Facebook. I know this story crested a few weeks ago, but who can resist it? A famous 1998 Molson Canadian ad posed a Canadian version of the infinite monkey theorem. The cheeky ad, showing a seemingly endless array of monkeys on typewriters, sidestepped the more important question about whether the monkeys as authors would enjoy copyright protection over the works they created. A wildlife photographer’s dispute with Wikimedia over ownership of photographs taken by primates in Indonesia has brought international attention to this pressing issue. The “Compendium of U.S. Copyright Office Practices, Third Edition” now explicitly states that photographs by monkeys are not eligible for copyright protection. Nor are elephant-paintings deserving of copyright. “Likewise,” the Compendium notes dryly, “the Office cannot register a work purportedly created by divine or supernatural beings.” Robots are also out of luck. There is no word on whether Canada is directly addressing this question. An American photojournalist, Ms. Leuthold, was on the scene in New York City on September 11, 2001. She licensed a number of still photographs to the CBC for use in a documentary about the 9/11 attacks. The photos were included in 2 versions of the documentary, and the documentary was aired a number of times betwen 2002 and 2004. We originally wrote about this in an earlier post: Copyright Infringement & Licensing Pitfalls. The court found that the CBC had infringed copyright in the photographs in six broadcasts which were not covered by the licenses. Though Leuthold claimed damages of over $20 million, only $20,000 was awarded as damages by the court. For copyright litigation and licensing advice, contact the Field Law Intellectual Property & Technology Group. Let’s say you pitch a story idea to a TV production company – and not just an idea, but a complete set of storyboards, characters and scripts. You would be surprised if one day you saw that story idea come to life in a TV production that gave no credit to you as the orginal creator of the materials. That’s what happened to Claude Robinson and his idea for a children’s TV program inspired by Robinson Crusoe. One of the most important copyright decisions in 2013 was issued by the Supreme Court of Canada (SCC) in late December: In Cinar Corporation v. Robinson, 2013 SCC 73, the court reviewed Mr. Robinson’s claim that Cinar Corp. infringed copyright in his original story materials by copying a substantial part of those materials in the new TV production called “Robinson Sucroë”. I am often asked when or why someone can copy the ideas of someone else. Ideas themselves are not protected by copyright law. Many features of a TV show or a movie are simply non-protectable, including ideas, elements drawn from the public domain or generic components of a story, like heroes, villains, conflict and resolution. However, in this case, the idea was articulated and expressed in a set of original written materials which resulted from the skill and judgement of the author. In the end, the court rejected the notion that the two works must be compared piecemeal to determine if protectable elements of the original work were similar to the copy. Instead, the court reviewed the “cumulative effect” of the features copied from the original, to determine if those features amount to a substantial part of the original work as a whole. Thus the court approved a “qualitative and holistic assessment of the similarities between the works”, rather than dissecting both works to compare individual features in isolation. This decision will be applied in other copyright infringement situations in Canada, including art, media, music and software. Zynga, the world’s largest app-developer has scored a win against the owner of the SCRABBLE brand. This case brings up several interesting points about international trade-mark protection in the era of apps. The well known SCRABBLE® brand is a registered trade-mark owned by different owners in different parts of the world. Hasbro Inc. owns the intellectual property rights in the U.S.A and Canada. In the rest of the world, the brand is owned by J.W. Spear & Sons Limited, a subsidiary of Mattel Inc. Mattel is not affiliated with Hasbro – in fact, the two companies are long-time rivals. As we’ve seen in other IP disputes covered by ipblog, this litigation is part of a wider dispute in multiple jurisdictions, including France and Germany. Mattel was chastised by the court for its delay in responding to Zynga’s earlier use of the SCRAMBLE mark, in late 2007. This delay influenced the court’s conclusion that Mattel did not truly perceive SCRAMBLE to be a threat to the SCRABBLE mark. This in turn influenced the court’s opinion that the public would not be confused by the use of the 2 marks. Mattel’s delay was likely caused by the efforts of the parties to negotiate a license agreement to produce a physical board-game version of the SCRAMBLE app. The litigation followed a break-down in negotiations, when Zynga concluded a deal with Mattel’s rival Hasbro. In the course of the infringement lawsuit, this was challenged, so the court had to squarely address the question of whether copyright can be validly transferred via online terms. “The issue we must yet resolve,” said the Court, “is whether a subscriber, who ‘clicks yes’ in response to MRIS’s electronic TOU prior to uploading copyrighted photographs, has signed a written transfer of the exclusive rights of copyright ownership in those photographs consistent with” the Copyrght Act. In Canada, the equivalent section of the Act says “The owner of the copyright in any work may assign the right, either wholly or partially …but no assignment or grant is valid unless it is in writing signed by the owner of the right…”. The Court in the Metropolitan Regional case decided that yes, an electronic agreement in this case was effective to transfer copyright for the purposes of the Copyright Act. When it comes to Canadian IP battles, neither The Great Olympic Sweater Debate nor the Distinctly Canadian Patent Fight can rival the court battle over the design of the Bluenose for sheer Canadianess. In Nova Scotia v. Roué, 2013 NSCA 94 (CanLII) the court addressed the copyright in the design of the famous schooner Bluenose. This is the ship that graces the back of the Canadian dime. Certain descendants of the vessel’s original designer, William J. Roué, launched an action against the Province of Nova Scotia, claiming that the Province was infringing copyright and moral rights in the original design drawings of their ancestor, by restoring or rebuilding the Bluenose vessel. A little history is in order: The original Bluenose was launched in 1921. A legendary racing schooner, the ship was undefeated for 17 years straight. The original Bluenose sank on a reef off Haiti in 1946. A replica Bluenose II was constructed in 1963, with access to Mr. Roué’s original designs. The Province took ownership in 1971 and now the Province describes its current efforts as a restoration of Bluenose II. Mr. Roué’s descendants allege that the Province is in fact creating an entirely new vessel and thus infringing copyright and moral rights in the original drawings. The Province responded by arguing, among other things, that the restoration of the Bluenose II is not a “substantial reproduction” of the original Bluenose, but rather an independent design, and if any of the original design was used “it was only dictated by the utilitarian function of the article”, and thus outside the purview of copyright. As with many fascinating copyright battles, this one turned on relatively mundane court rules. Here, the application and the appeal centred on the question of whether the case could proceed as an application rather than by means of a full trial. Weighing all of the factors, the court suggested that the application could go ahead, without the need to convert it to a full trial. Stay on this tack… the case will continue. When is an idea protectable? This question is front-and-centre for many entrepreneurs. When can they discuss their business idea, invention, or brilliant screenplay? This story relates to the protectability of ideas under the law of copyright. Basically, there is no protection under copyright law for an idea itself, only the particular form and expression of that idea. This was illustrated last week in Elijah Schkeiban v. James Cameron et al (Case No. 2:12-cv-00636, California Central District Court), where the plaintiff claimed that Mr. Cameron’s blockbuster Avatar film infringed copyright in Elijah Schkeiban’s screenplay entitled “Bats and Butterflies”. In this case, the plaintiff alleged that certain character traits and plot elements were copied by Cameron. These broad elements of a story – good guys vs. bad guys, or flawed protagonists – are precisely the things that are not protectable. The case was dismissed. It is important to note that courts will review elements of expression such as plot, themes, dialogue, mood, settings and characters, to determine if infringement occurs. Want to know who James Cameron really copied? Go see Fern Gully.